Last month I drove by the Burger King near my house and saw that they were hiring delivery drivers. I seriously thought my eyes were playing tricks on me. I dismissed that I had even seen that sign. A week later I drove by with a friend not paying attention to the Burger King she screamed out, “Burger King delivers now!” So, the sign hadn’t been a myth. I had been forgetting about it and then I thought let’s do. I’m not big on Burger King. I really have to be in the mood for Burger King to eat at the BK lounge. On Friday, I was in the mood for burger king I remember that they delivered so I went for it. It’s done online. It’s a very easy process. I could pick and choose what I wanted on my burger. I could add extra toppings. (I wish you could order a Subway sandwich by computer) I could ask for extra sauce for my nuggets. They had deals where you could order like 20 burger combos. I order two small burgers, chicken tender combo, and a salad. I ordered the salad just in case the nuggets and fries were soggy. The burgers weren’t for me, but I had fun ordering them. The min. order is $10 (rightly so. I would be pissed to drive just to give someone a large fry) There’s a 2.00 delivery fee. You can also give a tip via online. I was informed after I placed my order that it would be 40 to 45 minutes. Let me say this again 40 to 45 minutes. WOW! The Burger King is about 10 minutes away. I could make at least three trips home and back. DO YOU KNOW HOW FAT I FELT WHEN I READ THAT! BUTTTTT! It really only took like 20is minutes for my food to arrive which isn’t back for delivery, but makes me feel extra fat. I thought there would be some amazing in packaging that would keep everything warm and not soggy, but I was wrong. No one wants a cold burger. The burgers weren’t cold which I was happy about, but the fries are another thing. I hate soggy and cold fries. This happens to me when I say I’ll wait and eat my fries when I get home. They get cold and there isn’t a way to really get them back to fresh. That’s probably what they need to work on. If this is supposed to work. Anyone exciting about Kanye’s new heels? I didn’t think so. After seeing this first pair I’m not exciting to see anything more. Kanye West has had his share of questionable outfits. You never know what you’re going to get from him. I wouldn’t go so far and call him the male Lady Gaga because he isn’t hatching from an egg at a major award show. Many artist decided that they want a fashion line of some sort, but not everyone needs their own line. So, good luck to Kanye. 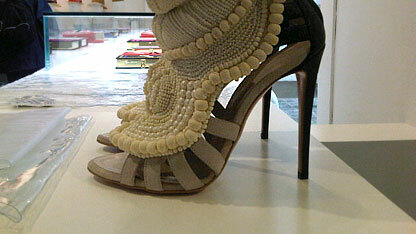 I think there will be some fans and groupies or just people that have to have a shoe because a famous person made them. That’s were the sells will come from, but maybe the rest of the line will be surprisingly good? I was doing my daily search on Yahoo.com on news. They’ve got a story saying that drinking 8 glasses of water is an old rule. To me it’s quite impressive to successfully drink 8 glasses of water. I’ve tried many times to remember to drink water. I even get a huge water bottle that I can refill, but I’m either too busy or I forget. Most times I’m too busy to remember that I need a drink or even that I need to eat. But they say now that there’s a new rule to replace 8 glasses of water. 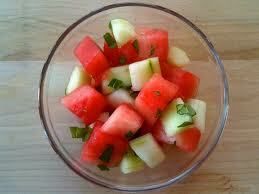 Cucumber and Watermelon are 90% water and have antioxidants. I’m sure I can do this. I love both of those foods, so I can do that. I also don’t have to have a massive amount of them. It’s the swankee new way to have water! Have you had success at success at success?